The festival opened with the long delayed Grace of Monaco, directed by Olivier Dahan and starring Nicole Kidman as Grace Kelly, which played out of competition. The restored 4K version of Sergio Leone's 1964 western A Fistful of Dollars, served as the closing night film. 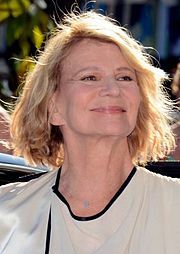 Due to European Parliament elections taking place on 25 May 2014, the winner of the Palme d'Or was announced on 24 May, and the winning film in the Un Certain Regard section announced on 23 May. The festival poster featured Italian actor Marcello Mastroianni from Federico Fellini's 1963 film 8½, which was presented in the 1963 Cannes Film Festival's Official Selection, within the Out of Competition section. The Official Selection of films for the 2014 festival, including the line-up for the Main Competition, was announced on 17 April 2014. French actor Lambert Wilson hosted the opening and closing ceremonies. The films announced to compete for the Palme d'Or were named at the Cannes press conference on 17 April 2014. The Palme d'Or winner has been highlighted. Party Girl, directed by Marie Amachoukeli, Claire Burger and Samuel Theis, was selected as the opening film in the Un Certain Regard section. The Un Certain Regard Prize winner has been highlighted. The Cinéfondation section focuses on films made by students at film schools. The following 16 entries (14 fiction films and 2 animation films) were selected, out of more than 1,631 submissions from 320 different schools. Half of the films selected have been directed by women. The winner of the Cinéfondation First Prize has been highlighted. Out of 3,450 submissions, the following films were selected to compete for the Short Film Palme d'Or. Italian film A passo d'uomo by Giovanni Aloi was removed from the selection because Aloi broke the regulations for the selection. 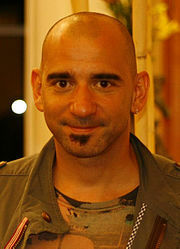 The Short film Palme d'Or winner has been highlighted. The line-up for the Cannes Classics section was announced on 4 April 2014. Italian actress Sophia Loren was announced as the guest of honour. The line-up for the International Critics' Week (Semaine de la Critique) was announced on 21 April at the section's website. FLA, directed by Djinn Carrénard, and Hippocrate, directed by Thomas Lilti, were selected as the opening and closing films of the Semaine de la Critique section. The line-up for the Directors' Fortnight was announced on 22 April. Girlhood, directed by Céline Sciamma, and Pride, directed by Matthew Warchus, were selected as the opening and closing films of the Directors' Fortnight section. Winter Sleep became the first Turkish film to win the Palme d'Or since Yol won in 1982. 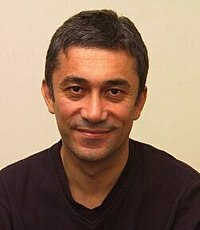 Director Nuri Bilge Ceylan called the win "a great surprise for me" and dedicated the win to the youth of Turkey as the country undergoes political turmoil and to the victims of the Soma mine disaster. Prior to the start of Cannes, Winter Sleep was considered the favorite to win the Palme d'Or, but when it was shown it met with mixed critical reaction. Some found it to be too long (at 3 hours 16 minutes, it was the longest film at the festival) and difficult to finish, while others called it a great revelation. The jury, however, loved the film. Jury president Jane Campion said "If I had the guts to be as honest about his characters as this director is, I'd be very proud of myself." Winter Sleep is the story of Mr. Aydin (played by Haluk Bilginer), a former actor who now runs mountaintop hotel, and his failing marriage. Aydin sees himself as the region's kind ruler, intervening in the business of the towns people below the mountain. In reality, almost everyone, including his wife, dislikes Aydin. He has a pompous column in the local newspaper and is writing a book on history of the Turkish theatre. When the slow season approaches the guests depart, the fighting between Aydin, his wife, his sister who lives with him, and the village people begins. Conversations dominate the film as the inner workings of the characters are slowly revealed. The runner-up Grand Prix award went to the rite-of-passage drama The Wonders. Julianne Moore won the best actress prize or her portrayal of a demented Hollywood diva in Maps to the Stars. Timothy Spall took the best actor prize for his portrayal of a marine painter in Mr. Turner. Bennett Miller was named as best director for his work on Foxcatcher. The Jury Prize was split between the drama Mommy and the drama Goodbye to Language. ^ "67ème Festival de Cannes". cinema-francais.fr. Retrieved 2 August 2017. ^ "Jane Campion to preside over Cannes Film Festival jury". BBC News. Retrieved 7 January 2014. ^ "Cannes 2014: Winter Sleep wins Palme d'Or". BBC News. Retrieved 25 May 2014. ^ a b "Awards 2014 : Competition". Cannes. Archived from the original on 27 May 2014. Retrieved 25 May 2014. ^ "'Grace of Monaco' to Open Cannes Film Festival". Hollywood Reporter. Retrieved 24 January 2014. ^ "Grace of Monaco by Olivier Dahan to open the 67th Festival de Cannes". Cannes. Archived from the original on 3 March 2016. Retrieved 25 January 2014. ^ "Cannes: Quentin Tarantino To Host Closing-Night Screening Of Sergio Leone's 'A Fistful Of Dollars'". Deadline. Retrieved 25 May 2014. ^ "Cannes 2014: Winners announced on Saturday 24 May". Cannes. Archived from the original on 4 March 2016. Retrieved 17 February 2014. ^ "The 67th Festival poster". Cannes. Archived from the original on 7 November 2016. Retrieved 15 April 2014. ^ "Cannes Film Festival". Cannes. Archived from the original on 8 September 2015. Retrieved 12 December 2013. ^ "Lambert Wilson Tapped To Emcee Cannes Film Festival". Variety. Retrieved 4 April 2014. ^ "Cannes: French Actor Lambert Wilson to Serve as Master of Ceremonies". Hollywood Reporter. Retrieved 4 April 2014. ^ "The Jury of the 67th Festival de Cannes". Cannes. Archived from the original on 7 September 2016. Retrieved 28 April 2014. ^ "Carole Bouquet membre du jury du festival". Purepeople. Retrieved 9 April 2014. ^ "Sofia Coppola to Serve on Jury at Cannes Film Festival". Women's Wear Daily. Retrieved 24 April 2014. ^ "The members of the 2014 Un Certain Regard Jury". Festival de Cannes. Archived from the original on 4 March 2016. Retrieved 12 May 2014. ^ "Pablo Trapero Tapped To Head Cannes' Un Certain Regard Jury". Variety. Retrieved 8 April 2014. ^ "Cannes: French Director Nicole Garcia to Head Camera d'Or Jury". Hollywood Reporter. Retrieved 20 April 2014. ^ "The 2014 Cinéfondation and Short Films Jury". Cannes. Archived from the original on 10 October 2014. Retrieved 8 April 2014. ^ "Jurys 2014". Semaine de la Critique du Festival de Cannes. Archived from the original on 27 November 2016. Retrieved 23 May 2014. ^ "Cannes Critics Week Jury to Be Led by Andrea Arnold". hollywoodreporter. Retrieved 8 April 2014. ^ "Cannes 2014 jury chairman Bruce LaBruce "Queer palm"". allocine.fr. Retrieved 8 April 2014. ^ "Queer Palm 2014: The jury is known". ungrandmoment. Retrieved 8 April 2014. ^ a b c "2014 All the Selection". festival-cannes.fr. Archived from the original on 10 April 2016. Retrieved 2 August 2017. ^ "2014 Official Selection". festival-cannes.fr. Archived from the original on 15 February 2017. ^ "Mike Leigh and Ken Loach films selected for Cannes". BBC News. Retrieved 17 April 2014. ^ "Party Girl, a first film to open Un Certain Regard". Cannes. Archived from the original on 12 April 2016. Retrieved 17 April 2014. ^ "Cannes Unveils 2014 Official Selection Lineup". Variety. Retrieved 17 April 2014. ^ "Cannes Lineup: 'Foxcatcher', 'Mr Turner', 'The Homesman', 'Maps To The Stars' In Competition; Ryan Gosling, Wim Wenders In UCR; 'The Rover', 'The Salvation' At Midnight". Deadline. Retrieved 17 April 2014. ^ "The 2014 Cannes Film Festival Reveals Its Festival Lineup". Indiewire. Retrieved 17 April 2014. ^ a b c "Cannes Film Festival 2014 / Golden Camera". imdb.com. Retrieved 1 August 2017. ^ a b "2014 Short Films Selection". festival-cannes.com. Cannes Film Festival. Archived from the original on 16 April 2014. Retrieved 17 April 2014. ^ a b "Cannes Announces 2014 Short Film and Cinéfondation Program". Indiewire. Retrieved 17 April 2014. ^ "Cannes Fest Unveils Short-Film, Student Selections". Hollywood Reporter. Retrieved 17 April 2014. ^ "Cannes Classics 2014". Festival de Cannes 2014 (International Film Festival). Archived from the original on 3 March 2016. Retrieved 2 May 2014. ^ "Cannes Classics - Tribute". festival-cannes.com. Retrieved 3 August 2017. ^ "Cannes Classics - Documentaries about Cinema". festival-cannes.com. Retrieved 3 August 2017. ^ "Cannes Classics - Restored prints". festival-cannes.com. Retrieved 3 August 2017. ^ "Cinema de la Plage 2014". festival-cannes.com. Retrieved 4 August 2017. ^ "Selection de la 53e Semaine de la Critique". Retrieved 10 August 2017. ^ "Selection – 53rd Semaine de la Critique – Charles Tesson". Retrieved 21 April 2014. ^ "Cannes : entrer dans la Quinzaine…". Retrieved 21 April 2014. ^ "Cannes Film Festival: 'Whiplash,' 'Cold in July' to screen in Directors' Fortnight". Variety. Retrieved 22 April 2014. ^ a b c d "Cannes festival ready for shut-eye after Winter Sleep wins Palme d'Or". The Guardian. 24 May 2014. Retrieved 24 May 2014. ^ "Un Certain Regard 2014 Awards". Festival de Cannes 2014. Archived from the original on 9 January 2016. Retrieved 23 May 2014. ^ "Abbas Kiarostami and the Jury announce the winners of the 17th Cinéfondation Selection". Festival de Cannes 2014. Archived from the original on 4 March 2016. Retrieved 23 May 2014. ^ "Awards – Short Film Palme d'Or". Festival de Cannes 2014. Archived from the original on 4 March 2016. Retrieved 24 May 2014. ^ "FIPRESCI Awards 2014". fipresci.org. Retrieved 29 July 2017. ^ "All the 67th Festival de Cannes Awards". Festival de Cannes. Archived from the original on 4 March 2016. Retrieved 24 May 2014. ^ "Jury Œcuménique Palmarés 2014". cannes.juryoecumenique.org. Retrieved 2 August 2017. ^ "'Winter Sleep', 'Jauja', 'Love at First Fight' Take Cannes Fipresci Prizes". Variety. Retrieved 23 May 2014. ^ "Cannes: 'The Tribe' Tops Crtics' Week Awards". The Hollywood Reporter. Retrieved 23 May 2014. ^ "Cannes: Directors' Fortnight 2014 Winners List". Deadline London. Retrieved 23 May 2014. ^ "Festival de Cannes: la "Queer Palm" décernée à "Pride" du Britannique Matthew Warchus". Le Soir (in French). 23 May 2014. ^ "Nouvelle Wag: "White God" wins Cannes' Palm Dog". Associated Press. Archived from the original on 2 July 2015. Retrieved 23 May 2014. ^ "Association Prix François Chalais Cannes 2014". francois-chalais.fr. Archived from the original on 4 August 2017. Retrieved 1 August 2017. ^ ""Timbuktu", prix du Jury oecuménique et prix François-Chalais". Le Parisien. Retrieved 23 May 2014. Wikimedia Commons has media related to 2014 Cannes Film Festival.